Extend a hand and shake a paw, Genpets™ are here. Unpackage your Genpet and unpackage a world of possibilities. Say Hello to the all New Genpets™ from Bio.Genica! Read National Geographic's site for more information on human animal hybrids (link). We’ve gone one step further by packaging the Genpets™ into plastic packages unlike any other. Each Genpet™ package has a fully functional heart rate monitor and Fresh Strip to better gauge the state of each pet while it lies in its hibernation state. More Info. The Genpets™ come in 2 base configurations, a 1-year model, and 3-year model. Engineered DNA, engineered personalities, and engineered lifespan, it doesn’t come any better than that. Bio-Genica has you covered on all bases. Just leave the details to us. As you’ve noticed, each Genpet™ comes pre-packaged as a fully self-contained unit. This packaging is part of what truly separates the Genpets™ from every other product on the market today. Each package has an embedded microchip that monitors and controls the state of the Genpet while it is asleep waiting for you to take it home. Better yet, it displays the status of the Genpet™ with a Fresh Strip, as well as a fully working heart monitor in the top right of the package. Genpets™ have limited mobility. Like dolls, puppies or human babies, they must be looked after and cared for. 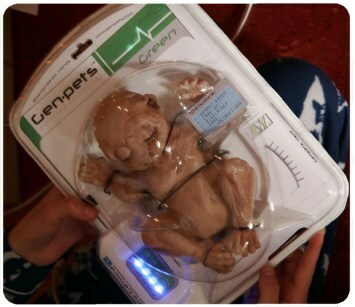 Upon waking from its dormant state the Genpet™ will immediately bond or imprint to your child. The Genpet™ line-up pulls its basis from a natural1 stage of evolution in the market. Dolls and robotic toys quickly become tiresome, while traditional pets require a high level of upkeep. Genpets™ however, learn and adapt 2. They are living pets, but better, modified2 to be as reliable, dependable and efficient as any other technology we use in our busy lives. More questions? Check the FAQ or Features section for more info!